Photo source 11 AliveGeorgia newspaper publisher Mike Buffington has raised the stakes of the medical marijuana conversation in Georgia over the last few weeks by publicly announcing his plans to grow medical marijuana for his son, who suffers from seizures. Now Mike has taken his bold effort one step further by uploading a 24×7 live video stream of a flower pot in his house that Mike is growing his son’s medicine in. 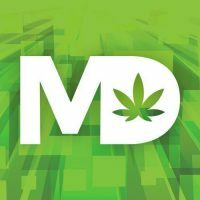 On the website Mike created, aptly named Dad’s Medical Pot Plant, visitors can see the live stream on the front page as well as learn more about why Mike is doing this. In his most recent blog post Mike says that “the pot is in the pot”. Mike has 3 tiny marijuana seedlings growing in the pot, which officially makes him a felon. Welcome to the club Mike! You can watch Mike’s live stream below, or you can visit his website to learn more about why he has engaged in this act of civil disobedience. Note: The live stream has since been removed. From watching the video it appears that he has a serious infestation of fungus gnats, whose larvae eat organic matter in the soil, including small roots. Having an inch of sand on top of the soil could protect against their colonization. If measures are not taken, the seedlings could die. It is also a bad idea to have several seedlings in the same pot, as they will have a problem with obtaining nutrients. The ideal is to never have more than one per pot. In any case, best of luck in his fight (which is everyone’s as well) and for his son. It is about time that this crime against humanity called prohibition ends. I don’t see fungus gnats (maybe your peepers are better than mine), but a light top coat of DE is also a good choice for controlling them. God help you my friend. Our state is so archaic with their draconian laws. I do get it…5 failed back surgeries later, all failed, and I’m on Opana ER, Oxycodon, and lyrica until….well…until we get a working, comprehensive medical marijuana law that is not castrated, or we get an atmosphere where physicians are not worried about punitive repercussions against their medical license if they speak out in favor of cannabis….or better yet, VOTE GOVERNOR NATHAN DEAL, AND HIS PHARMACEUTICAL LOBBY CRONIES OUT OF OFFICE. Because realistically, until then, this subject is all academic. Want proof, look at how the Governor castrated the current medical cannabis bill. He wouldn’t sign until his demands were met, and what did we get…a nonfunctional piece of paper with a bunch of words. However, what did happen can’t be undone….people…constituents, are talking, discussions are talking place, and this fire can’t be stopped. Slowed down, maybe, but activists like James Bell won’t be silenced. As someone in this fight against cannabis prohibition once said…”the toothpaste is out of the tube…have you ever tried to put toothpaste back into a tube…you may get some back in, but eventually you will give up…but only after you’ve made a mess”. Well, the Governor seems to have accomplished that…we all know what comes next…. I wish you the best Mike. Sometimes it takes actions like these to wake up the powers that be. Our politicains are too concerned with who will make the money after decriminalization. Big Pharma and Big Tobacco are poised to ruin it all. To all politicians blinded by the propoganda set forth by Randolph Hearst, please get yoiur heads out of your asses and make this medicine availab,le to ALL who need it. Get 100,000 legitimate signatures in GA. And every state where pot is still illegal and let the voting public choose. We need to vote for more real people not lying professional politicians, egotistical zealots, bigoted racist, and paranoid schizophrenics. Unfortunately Georgia doesn’t have a citizen ballot initiative process so signatures don’t do a whole lot of good. Maybe I should run for Gov. of Ga. I would be pro pot, and I’m nobody compared to the career politicians we have now that have never pulled a trigger or been under enemy fire for our country!